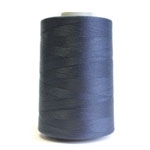 Coats Tre Cerchi is a top-of-class mercerised cotton sewing thread. 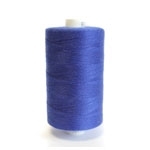 The lustrous quality of the long staple cotton fibres in the thread gives a beautiful seam appearance. COLOUR OPTIONS - PLEASE NOTE BELOW COLOUR OPTIONS ARE STOCK COLOURS FOR Tre Cerchi range. Please only select from these colour options. (All other colours on colour card are made to order MOQ and long lead times will apply).